“I’m not nervous,” I lied. It was the coldest day of the year. 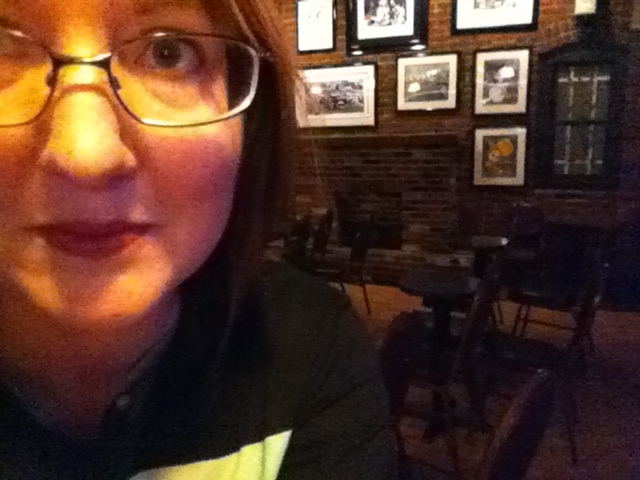 My wife and I sat at a table at Embers drag club, watching the leaves swirl in little tornadoes on the street outside. “Are you nervous?” my wife asked. I didn’t feel pressured. I felt honored. 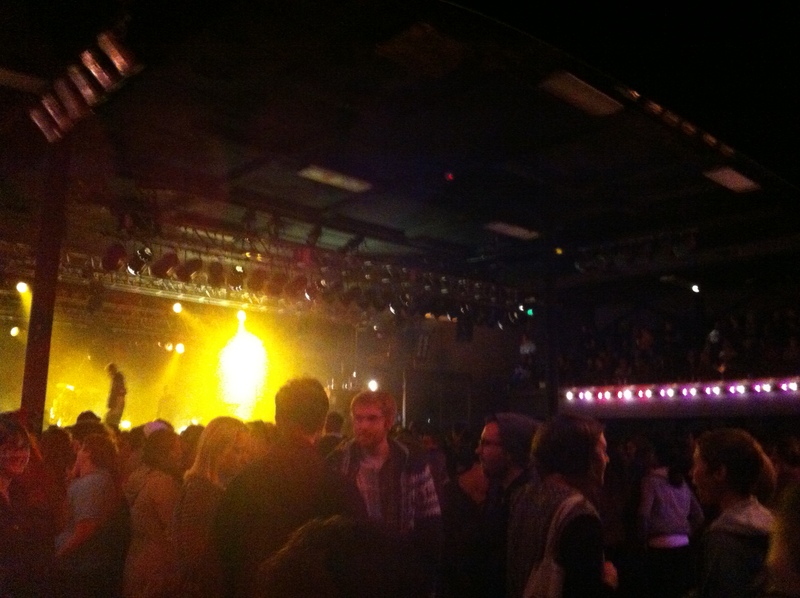 “How do you even find the backstage?” I asked my friend Leslie who had joined us at Embers. Leslie has been in theater her whole life. I am English professor. When I want to praise someone in my department, I often close the email with the hyperbolic inaccuracy: you are a rock star! You went to that meeting where they talked about aligning our Values Objectives with our Mission Assessment Statement…and you stayed awake the whole time! You’re a rock star! I couldn’t write that to Sara Quin. That would be like someone writing me a thank you note and ending it: you are an English professor! You defrosted the micro-fridge and finally got rid of the pork chop that got stuck in there. You’re an English professor! I told myself there was no reason to be nervous. We were both professionals in the entertainment industry. She sings, and I write books. But she also has millions of followers who would buy her old socks on eBay if she offered them. As it turned out, I had nothing to worry about. After the show, my wife and I lingered on the floor. 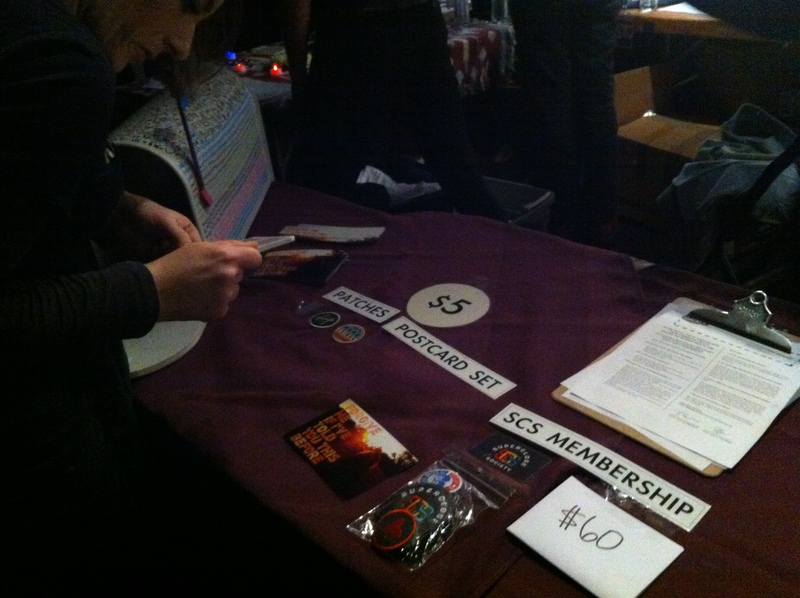 The staff kept trying to move us toward the merchandise table where the opening bands were signing autographs, and we kept stubbornly refusing which apparently made us look like we belonged there. A moment later, a friendly woman appeared. “You’re Karelia! The girls can’t wait to meet you” she said. Backstage, as it turned out, was several stories below ground, a little, low-ceilinged room that reminded me of the basement where I hung out with my high school friends. There, Sara Quin, the very first celebrity I had ever met in real life, greeted me with a hug and such sweet, effusive praise for my book, that I felt like…well…a rock star. Then we started chatting about life in the era of social media and books we had read. It felt a lot like hanging out with my English professor friends at work. It felt like hanging out with my English professor friends…only in rock star form. At one point, I pulled out my phone to jot down the name of yet another fascinating book Sara recommended. “Oh, have I become that person?” She laughed. I have watched E! True Hollywood Story. I think a popular celebrity answer to that question is “cocaine.” But Sara has definitely made a wiser choice. And that was one of the things that particularly impressed me about Sara and her sister Tegan. They seemed like regular people – and I mean “regular” in the best sense of the word, regular as in normal, friendly, well-adjusted, modest, down-to-earth, not-on-cocaine people who had families they cared about, who missed the town they grew up in, who had careers and who thought about the future. At the community college where I teach, people talk about the students with a misty-eyed affection. Sure, there are a few cantankerous professors and a few students who drive their professors to pencil-snapping ire. But for the most part, we feel a deep affection and respect for our students, many of whom are rising up from poverty and all its attendant problems. Listening to Tegan and Sara talk about their fans, I could easily have been listening to my colleagues talk about their students. I heard the same concern and admiration, the same wondering what happened to so-and-so, the same excitement over a young fan’s growing self-confidence. 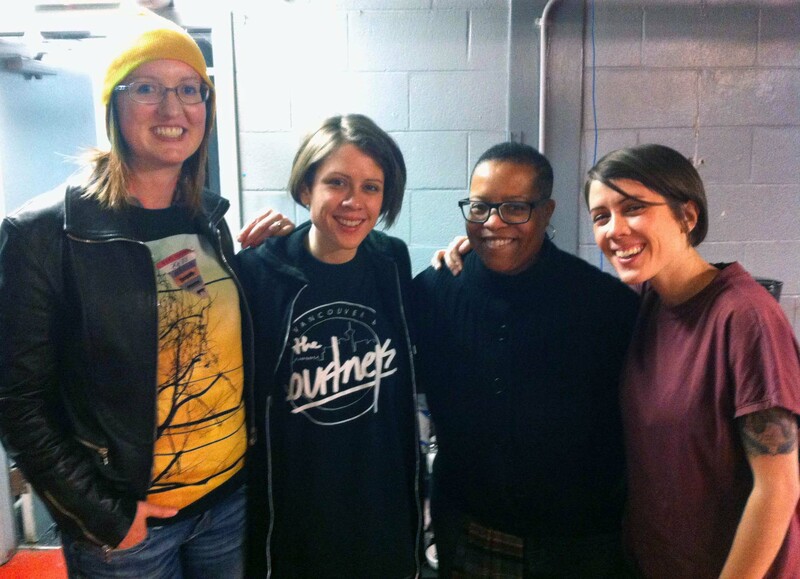 I thought about the young women who look up to Tegan and Sara. I read their Instagram posts. It’s been a rough year but you girls always make me forget the bad and just be grateful. Thank you!! I was at the concert! I went with my dad & sister. You guys are such and inspiration and I adore the both of you! Thank you for being such a great part of my childhood! It means more than you’ll ever know that you commented back. Safe travels & have a good show. But I guess I don’t need to say that. Reading the feed, I think their fans know. My wife and I drove home that night, beating the freezing rain by mere minutes. All the way home, we talked about our evening. And that, I suppose, is how we should all live, famous or not. We should use our accomplishments to build community and to touch people’s lives. Rock stars, professors, baristas, and mechanics alike, we should treat our professions as callings to a greater good, knowing that, like Auden’s “ironic points of light,” there are people doing the same across the globe…many of them doing their good work to a Tegan and Sara soundtrack. Karelia is author of Forgive Me If I’ve Told You This Before, The Admirer, and The Purveyor. What a wonderful way to celebrate your book! I think that you are right, Karelia, to encourage people to strive for a greater good regardless of their profession. I imagine that this sense of community also helps to keep the distorting effects of fame in check.